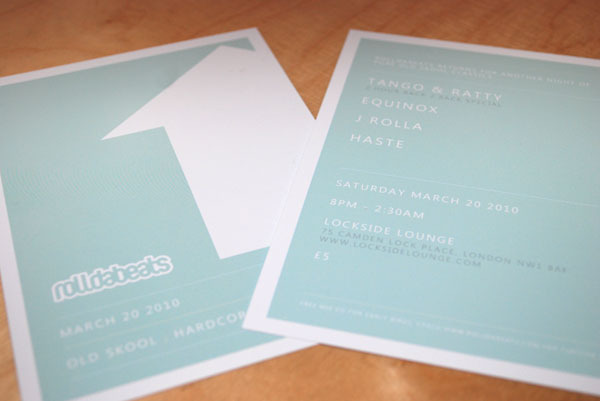 New RollDaBeats flyers are here! I don’t do much print design for clients, mainly cos I think I don’t know enough about it. 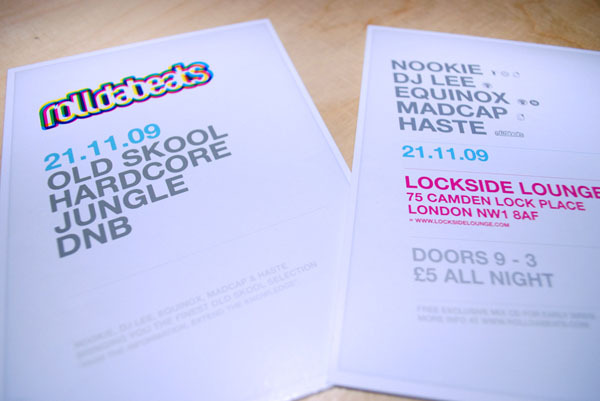 To save a bit of money on designer costs I generally handle the print work for RollDaBeats if there’s time to fit it all in. We needed some flyers for the next party – November 21st @ Lockside Loungue with Nookie, DJ Lee, Equinox , Madcap & me – so I got Photoshop out and tried to get something decent done. They turned up recently and I was pretty happy with the results!